Oder lösen Sie dafür 12000 Kobo Super Points ein! To date, little has been published about the place of spirituality in working with survivors of intimate partner violence. 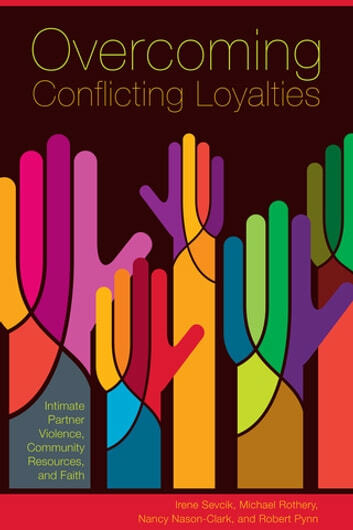 Overcoming Conflicting Loyalties examines the intersection of faith and culture in the lives of religious and ethno-cultural women in the context of the work of FaithLink, a unique community initiative that encourages religious leaders and secular service providers to work together. The authors present the benefits of such cooperation by reporting the findings of three qualitative research studies. Individuals in secular and sacral services who work with victims of domestic violence, as well as academics in the fields of social work, psychology, and religious studies, will benefit from the insights, depth of experience, and range of voices represented in this valuable book. Irene Sevcik, Michael Rothery, Nancy Nason-Clark, and The Very Rev. Robert Pynn have brought their professional expertise and experiences to benefit FaithLink at different times and in different capacities. All of the authors live in Calgary except Nason-Clark, who lives in Fredericton. Sponsored by The Calgary Foundation.